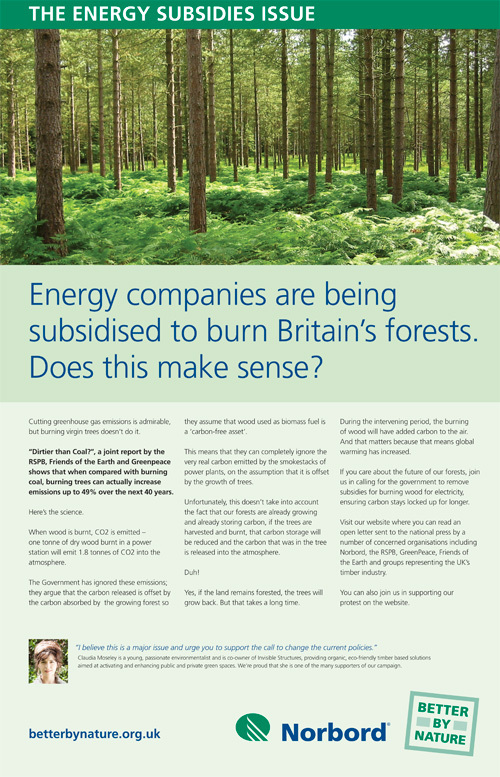 The7stars has been appointed to work on ads that will be sent to MPs and appear in national press to support a lobbying campaign against biomass subsidies. The agency has been appointed by Norbord, the global wood products company. The ads will be emailed to all members of the Houses of Commons and Lords, and tactical press ads will be placed in The Independent, i, The Times and The Guardian this week. The work is supporting a wider lobbying campaign by the communications consultancy, Shared Experience, on behalf of Norbord, which specialises in recycled wood. 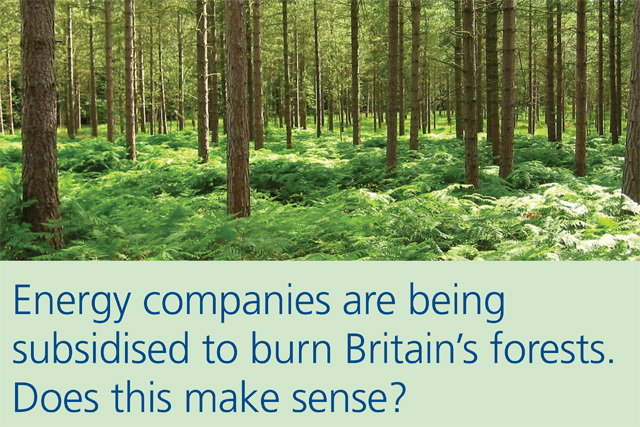 The campaign targets the Department of Energy and Climate Change, MPs and policy makers, calling on them to vote against UK subsidies for biomass, which incentivise the burning of wood increasing carbon dioxide emissions, according to Norbord. The subsidies are aimed at meeting targets for renewable energy generation in accordance with the EU Renewables Obligation, but Norbord claims they could see the UK energy industry consuming the equivalent of six times the UK’s annual forestry harvest by 2017. Jenny Biggam, the co-founder of The7stars, said: "This is an unusual job for us – but an important one, as an issue which affects so many people in the UK and Europe. It’s also critical for the environment and economy – so we were really pleased to be involved." Linda Hovord, the marketing manager for Norbord, said: "The current plans threaten to increase our greenhouse gas emissions, and this increased pressure on a scarce and valuable natural resource will threaten the survival of existing industries – in wood, wood panels, packaging, construction, furniture and paper. "Over 40,000 jobs rely on these industries and many of these would be at risk thanks to the reckless pursuit of biomass electricity. That’s why it’s so important that we get both media and messaging right."